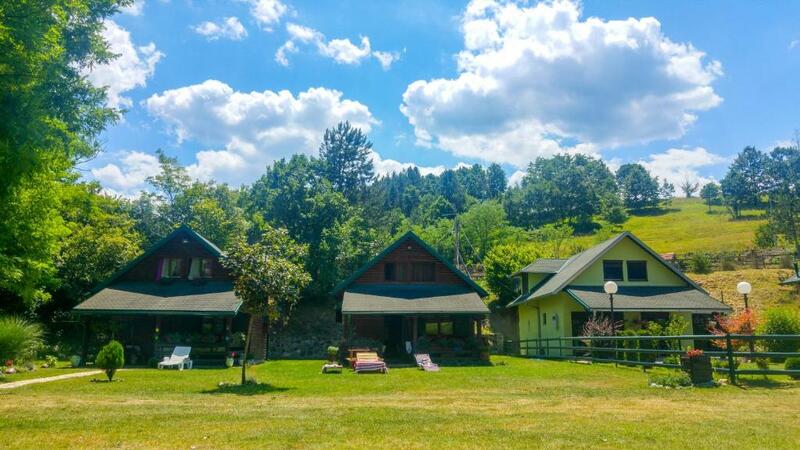 Everything was amazing, from being greeted with local liquor, to the traditional Serbian dinner we tried, to the wonderful location and tranquil little cabins. Such a relaxing place, with an outdoor table area, hammocks available, and the surrounding nature. Wifi and aircon worked well, beds were comfortable. Everything was as described. The house was very warm and cozy, yard big and green, the river running true the trees in front of the yard it was like magic. 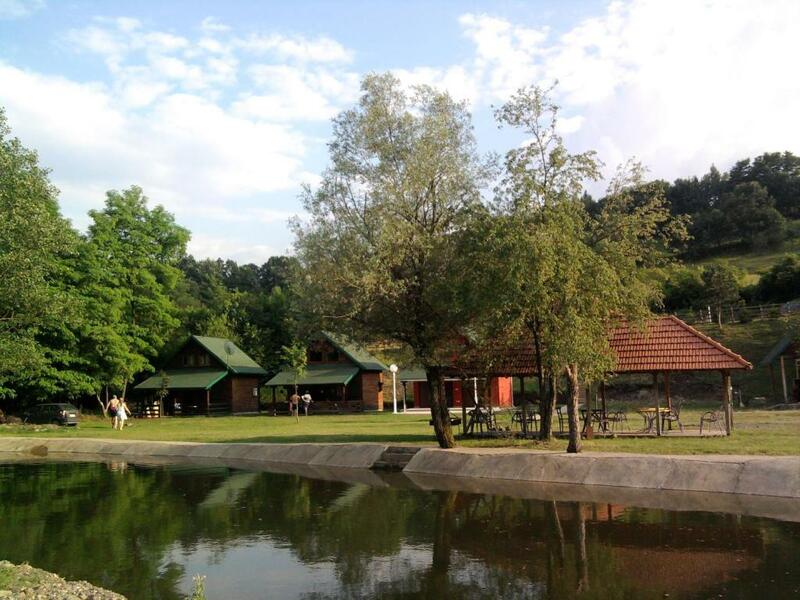 The village is very picturesque, walking paths all over the mountains, tea peaking on the slopes of the meadows and off course the food like nothing you have ate before, especially cow cream (kajmak) and domestic cow cheese. Speechless. Highly recommendable for family with kids. Very nice and freindly place! Great home made food! The hosts waited for us (with welcome drink) when we arrived. The houses were prepared well. Unbelievable tranquility, fresh air and nature! The nearby river is very reassuring. It is a great location if you want to avoid the busy city. Suitable for families with children. In the nearby restaurant (50m) you can enjoy delicious homemade food. 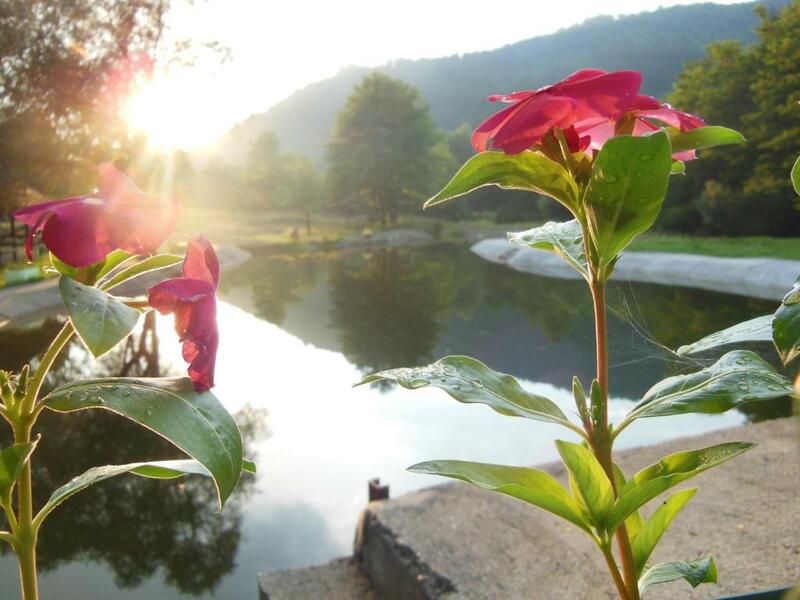 Everything, great hospitality, beautiful unspoiled nature, delicios domestic food, clean and confortable. 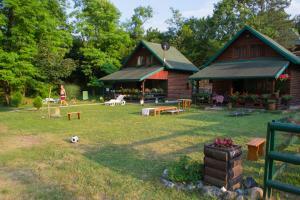 A wonderful quiet location with trees, nice grass area, some water for swimming and hammocks. Very special attention from the hosts - welcoming us on arrival and drip-feeding us with treats all evening. We were made feel very very welcome - a true family-run business. Izrazito ljubazni domacini, ko voli mir narusen samo zuborom rijeke topla preporuka. Vacsora nagyon finom volt és kedvesek voltak mindenben. 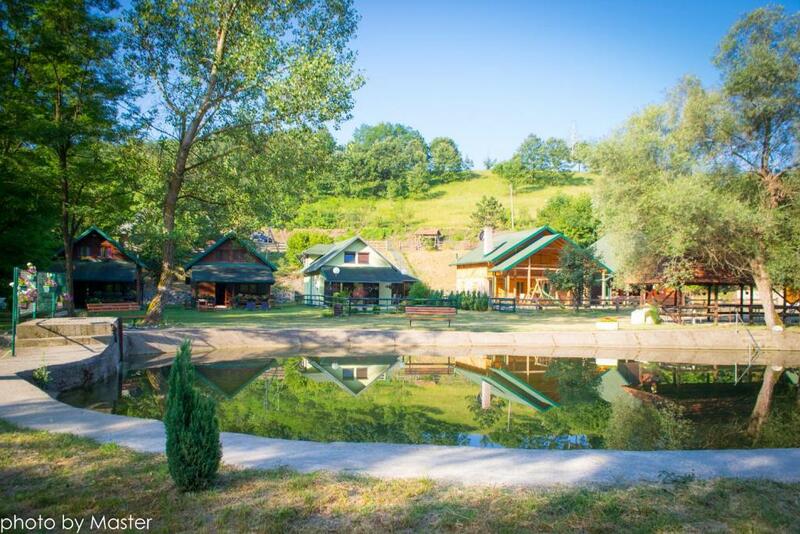 Lock in a great price for Holiday Homes Biser Lopatnice – rated 9.4 by recent guests! Holiday Homes Biser Lopatnice This rating is a reflection of how the property compares to the industry standard when it comes to price, facilities and services available. It's based on a self-evaluation by the property. Use this rating to help choose your stay! 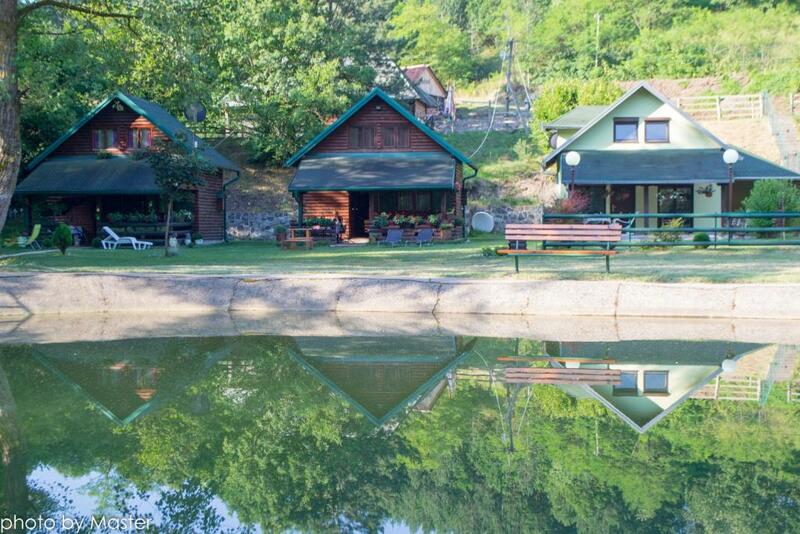 Located in Lopatnica, 16 mi from Kraljevo, Biser Lopatnice features a seasonal outdoor pool and barbecue. Kragujevac is 30 mi away. Free WiFi is available throughout the property and free private parking is available on site. All units are air conditioned and have a flat-screen TV. All units include a seating area and/or terrace. There is also a kitchenette, equipped with an oven and fridge. 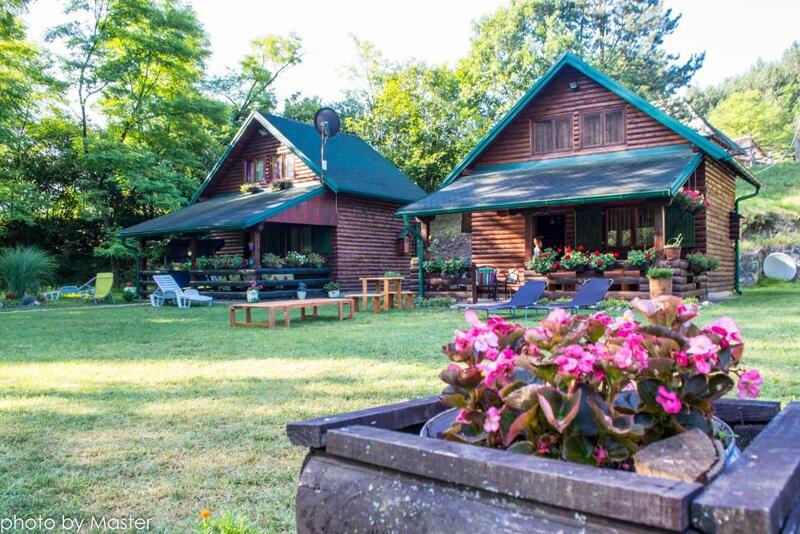 There is a private bathroom with a bath or shower and free toiletries in each unit. Towels and bed linen are offered. Biser Lopatnice also includes a sun terrace. Guests can enjoy the on-site restaurant. The property also offers packed lunches. The property has a private beach area and bike hire is available. 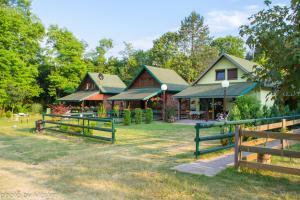 You can play table tennis at the property, and the area is popular for horse riding. 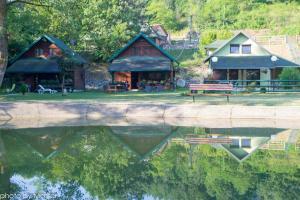 A range of activities are offered in the area, such as cycling, fishing and hiking. Vrnjačka Banja is 28 mi from Biser Lopatnice, while Čačak is 17 mi from the property. 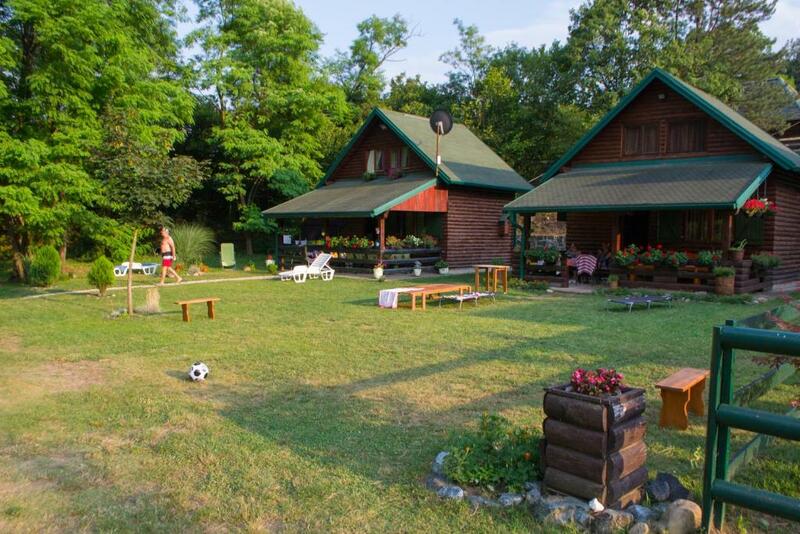 When would you like to stay at Holiday Homes Biser Lopatnice? This double room features a oven, air conditioning and barbecue. Tradicionalna dobrodoslica uz dobru domacu rakiju. Svi gosti su dobrodosli, dodjite da osetite pravo srpsko gostoprimstvo. Lopatnica je turisticko mesto kroz koje protice reka Lopatnica. Postoje termalni izvori vode koji ovo mesto cine lekovitim. U blizini su manastiri Zica i Studenica kao i srednjevekovni grad Maglic. House Rules Holiday Homes Biser Lopatnice takes special requests – add in the next step! Please inform Holiday Homes Biser Lopatnice of your expected arrival time in advance. You can use the Special Requests box when booking, or contact the property directly using the contact details in your confirmation. Small hot water tank, it ran out quickly for showers. In Biser Lopatnice my friends and I came together for one night. We were met by a friendly host and his wife with the beautiful name Vesna. They took us to a wonderful house, clean, neat and equipped with everything necessary. On the first floor there is a small kitchenette, a living room, a toilet and a shower, on the second floor there are two bedrooms with air conditioning. The interior is decorated with taste, there are all kinds of recreational facilities: a hammock, night torches, board games, a veranda with a large table, table tennis. Opposite the houses there is a swimming pool, and a little further the mountain river flows. The river is very shallow and cold, it can splash wonderfully in hot weather. Surrounding the whole place is picturesque mountains, so the air there is very fresh and clean. Also on the territory there is a small house-restaurant with a national cuisine. For a very small price (5 euros per person) we were fed a dinner, where a huge meat plate with different kinds of meat, salad and sweet was served. For breakfast (3 euros per person) gave a cheese puffed national pie and kefir. Everything is very much and very tasty. 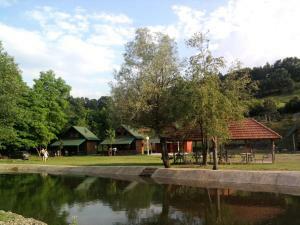 We came to Biser Lopatnice to see the fortress of Maglich, which is 10 minutes away. Driving by car from the complex. If it were not for a tight travel schedule, would be happy to stay for a few more days in this beautiful place.